The magic of the Moon has once again captured the imagination of politicians and scientists around the world. Forty years ago, the largest TV audience in history tuned in to watch the Apollo 8 crew reach lunar orbit. 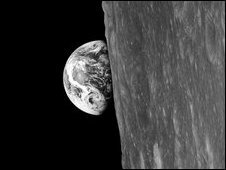 It was during this mission that the famous "Earthrise" image was captured, changing forever our perception of the planet and its place in space. And in July 1969, a small step by Neil Armstrong during the Apollo 11 mission guaranteed his place in human history as the first person to set foot on another world. These pioneering missions captivated everyone's attention and seemed to herald a brave new world. Yet after just six lunar landings, the Apollo programme was scrapped because the world had quickly lost interest. While the masses may have moved on, the adventures of the Apollo astronauts had a life-changing impact on some young lives. "The Apollo programme inspired me into space research," Alan Smith, head of the UK's Mullard Space Science Laboratory, told BBC News. "But at the end of the day, I am just a hard-nosed scientist and it is a fact that the Moon is extremely exciting scientifically." Professor Smith heads the UK's Moonlite mission to the Moon, one of a growing number of scientific programmes to send probes to the lunar surface. "The Apollo missions left the Moon unfinished," explained Professor Smith. "The programme was scrapped after the public lost interest in it in the early 1970s. "However, the science was barely touched, so we need to go back and complete the science. "Now, the US plan, unlike Apollo, is to have a semi-permanent base on the Moon - that involves a much more elaborate infrastructure being established." During the 2004 speech in which he announced the US plan to return to the Moon, President George W Bush said the programme would act as a stepping stone to even more ambitious projects. "We can use our time on the Moon to develop and test new approaches, technologies and systems," the US president said. "We will then be ready to take the next steps of space exploration." He stated that these included "missions to Mars" and to "worlds beyond". Other nations have also set out their ambitions to send humans to the Moon, among them China. 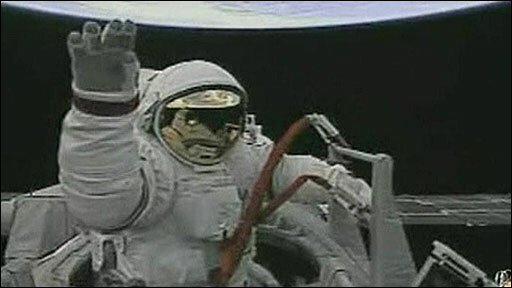 In September, a Chinese astronaut carried out the nation's first space walk. It may have lasted a mere 15 minutes, but many view it as a milestone in the way the rest of the world views China. "China - at this point in time - is still a lesser developed country," explained Dean Cheng, senior Asia analyst at think tank CNA in Washington DC. "That is unlikely to change in the next five to 10 years, just because of the sheer size of the nation's population," he told BBC News. "However, if China was able to put a man on the Moon in that time period, it would basically say that China has finally reached the first rank of nations; that it was truly equal with the United States in terms of science and technology." With the Moon featuring on a growing number of political agendas, it is likely that ideas that seemed impossible a generation ago are going to become a reality - such as making the Moon habitable for humans. "The Moon is a place where you can study how to expand life beyond Earth," the European Space Agency's senior scientist Bernard Foing told BBC News. "You can take the elements needed and seed, germinate, grow and make a flower blossom on the Moon," Professor Foing explained. "We also have ideas about taking other types of plants that could make a first generation "mini biosphere", from which we could grow more complex plants. "From this, we could learn how to develop a self-sufficient life support system that could help us live off the (lunar) land." Professor Foing added that a new generation of human space exploration was a realistic goal. "It is within the reach of our generation, or our children's generation, where we will be able to start a civilisation that will be a 'double planet' system on Earth and on the Moon. "This sort of vision could really inspire the public to innovate, which is the ingredient needed to save societies from decline." You can hear Pallab Ghosh's report on the renewed interest in lunar exploration on BBC Radio 4's World Tonight programme on Monday, 29 December 2008 at 2200 GMT.